The integrated control safety system (ICSS) at the Lacq Gas Processing Plant required an extensive renovation as it was based on Contrôle Bailey Alspa-ZS systems dating back to the mid eighties. 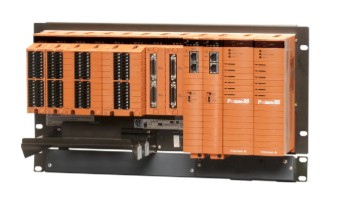 "Our decision to use Yokogawa's new safety instrumented system ProSafe-RS for the revamping of our existing safety system was mainly based on the improvement of the long-term maintainability, and the better integration of the ProSafe-RS into our new CENTUM CS 3000 control system network. After in-depth clarifications, we understand that due to its architecture based upon Pair & Spare technology, the ProSafe-RS reaches high levels of availability and robustness, and is certified by TÜV Rheinland for SIL3 safety levels. The initial risk of using a brand new product in our case was compensated by Yokogawa's commitment to providing adequate service capability to guarantee the success of our project." The old control room was located in the middle of the plant, amongst the process units. In order to enhance the safety of operations personnel, Total E&P France erected a new, blast-proof operations building on the outskirts of the process areas to host the hub and operator stations of the new Yokogawa CENTUM CS 3000 system. 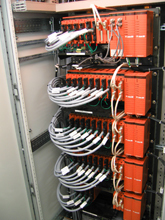 The installation of the Yokogawa CENTUM CS 3000 involved the deployment of a set of redundant Vnet-IP ethernet networks with fiber optic cables linking the various technical facilities scattered all over the gas plant. 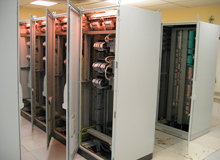 All the controllers of the outmoded Alspa-ZS systems were replaced with the brand-new Yokogawa CENTUM CS 3000 control system. This overhaul was done process unit by process unit without interruption to plant production operations. In order to reach this objective, some units underwent a hot-changeover, meaning they were migrated from the Alspa-ZS over to the CS 3000 while still in operation. This required extreme care and accurate coordination between the project group and the operations team. The latest generation of TUV-certified SIL-3 ProSafe-RS safety instrumented system was selected to handle the fire and gas detection functions and the high-evel safety trips. This allowed for a seamless integration of the safety controls with the ICSS, which was an improvement over the previous setup where the safety systems required their own dedicated operator stations. 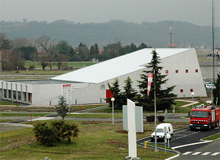 Total E&P France (TEPF) is a subsidiary of France's Total Group and handles all its production activities in France. The two main production assets of TEPF are an oil reservoir complex south of Paris that feeds into the Grandpuits refinery and a reservoir complex that stores gas and condensate produced at the Lacq gas plant in southwestern France. The Lacq gas field was discovered in 1949 and consists of several production layers, the most important of which being a high pressure sour-gas reservoir containing 15% H2S. A large gas processing plant was built here in several stages, pioneering complex gas-sweetening process techniques. 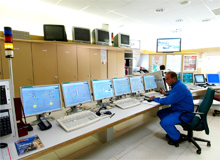 The old control systems of the Lacq natural gas plant (Contrôle-Bailey-µZ and Alspa-ZS) dated from the mid eighties and were showing signs of ageing: increasing failure rates (the sour atmosphere is a rather aggressive environment), scarcity of spare parts, and decreasing availability of competent maintenance personnel capable of supporting / maintaining these old systems. A new gas processing unit was to be put in service in 2005, requiring a new process control system and safety controllers. It was then decided to use this opportunity to launch a major renewal of the complete ICSS covering the entire plant. The overall ICSS revamping strategy covers a total of 10,000 hardwired points and 10,000 soft tags from package PLCs. The ICSS overhaul is being done in phases over a three year period and is currently 50% complete. The first phase commenced with the raw gas compression, condensate stabilization, and export section of the plant, which has satisfactorily been migrated to the Yokogawa CS 3000 control systems without loss of production. We are in the middle of the second phase revamping for the gas sweetening and sulfur section. The third and last phase, boilers and power generation, will be initiated in early 2007.